Hey there. I'm trying to clone my windows drive to another spare SSD and when I right click on my windows drive (disk 3 in the attached image), I'm not even being given the option to clone the drive. In the image the destination drive is Disk 5, which is slightly larger than the source drive. I ultimately want to boot of the destination of the clone and dispose of the source disk. this operation is available for basic MBR disks only. 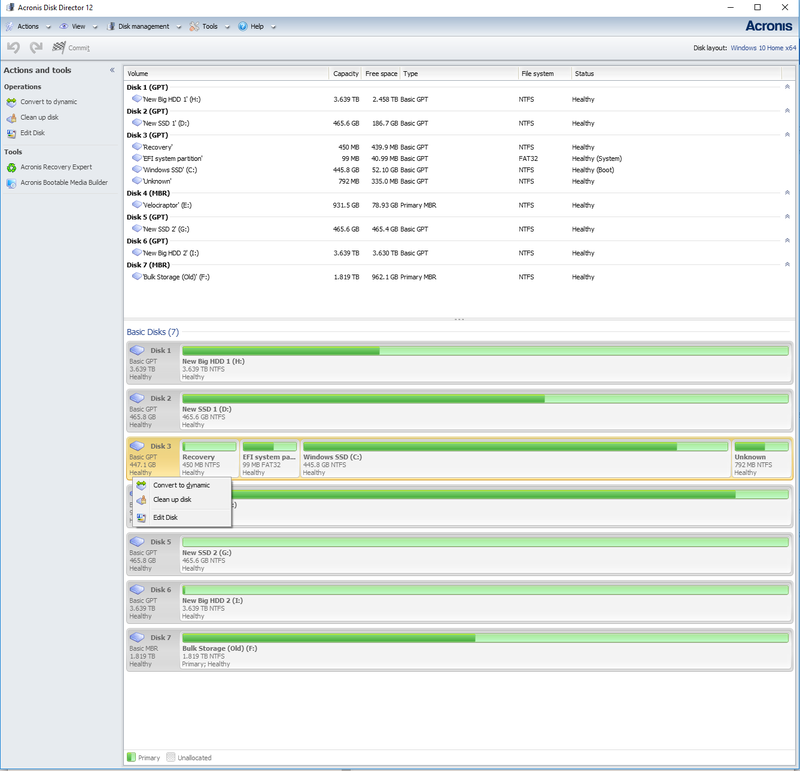 I'd suggest you installing a free trial version of Acronis True Image 2019, creating a full backup of your drive and then restoring the image to a new SSD. This approach will require another spare drive to store the image, but migration itself will be easier.